Earrings. Natural flower encapsulation in artisan jewelry. These flowers are believed to have certain spiritual powers. Each miniature floral scene is hand crafted. 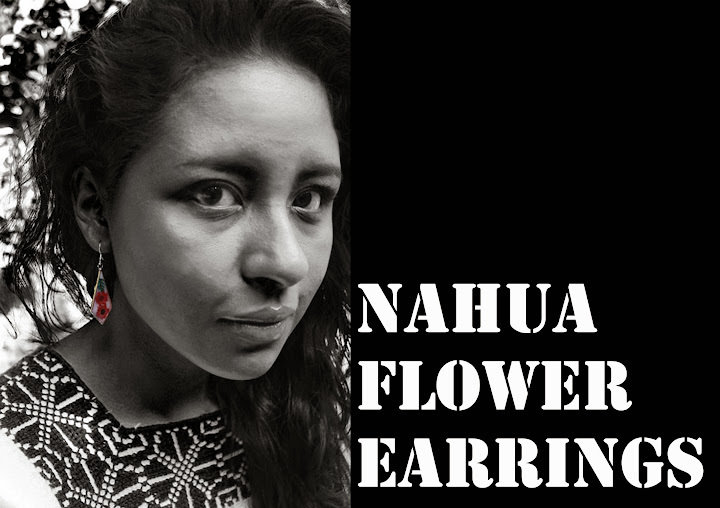 Nahua Flower Jewelry These are natural flowers collected by the indians; they are said to have spiritual curative powers.